I am completely blown away by AL Jackson everytime I open one of her books. 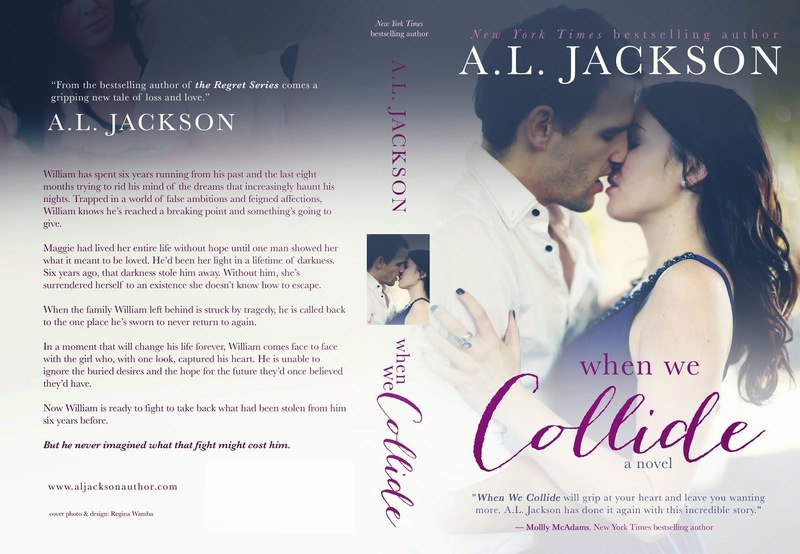 When We Collide is no exception. It's a great story, from beginning to end. I love that the author can take dark, horrible topics and still turn them into a heartbreakingly ,beautiful journey. William and Maggie are both amazing characters that are almost polar opposites. But they have always had an undeniable pull to the other one. I can't wait for their story to unfold for you! This story is told in both main characters POV and also flashes from the past to the present. It slowly reveals the whole story and keeps you captivated the entire time. Ms. Jackson always keeps me wanting more! This story is really intense and difficult to read at times, but necessary to keep it realistic. 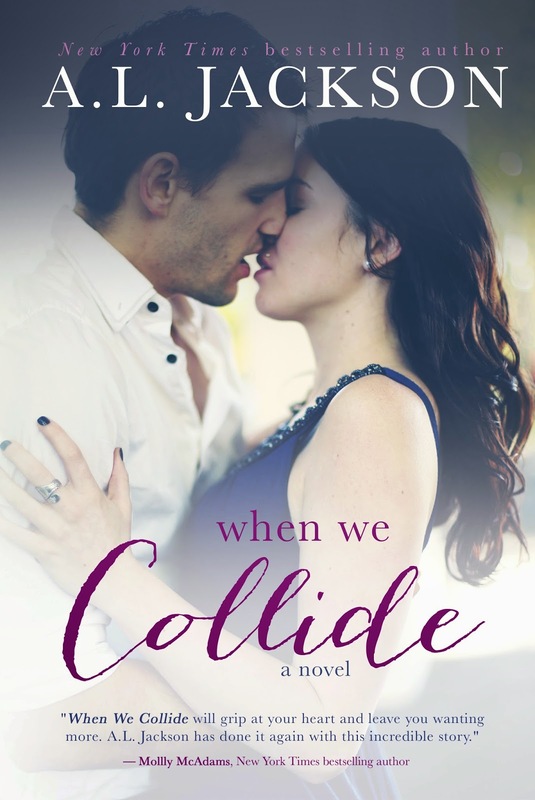 When We Collide explores the beauty of love and how when we don't follow our hearts and what our heart wants out lives can take on bitterness. The heart wants what the heart wants and when it doesn't get it it's not whole, when something's missing we cannot fully live to our potential. AL Jackson paints the perfect picture of how our fears often drive us down the wrong road and how drastic our lives can change when we don't follow our hearts. I highly recommend this novel. It's a heartbreakingly beautiful story that while full of pain also captures the power of love in the most life changing of ways! Go one click it today!